When buying a bus ticket through the website, you will be provided with the ticket code as displayed on a computer screen, as well as sent to your email. If you are not able to print the receipt out, you can simply write out the ticket code. Please take the ticket code with you and come to the bus station in advance. Contact a cashier in order to print the ticket out. Take your ticket and go onboarding. 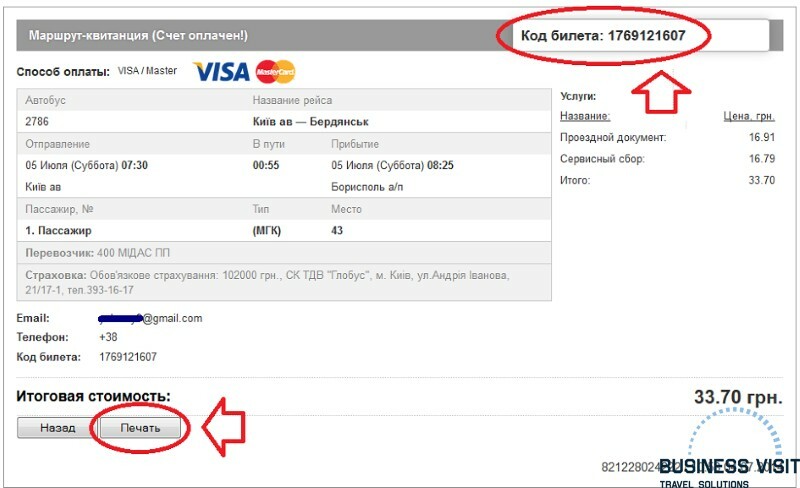 In case you’d made a mistake in the code, you are always able to check it in your email or in the receipt, using your smartphone. You can write out the confirmation code, save it in a soft format, or print it out — choose the most convenient way for you. A unique code must be presented to the cashier before boarding the bus. You may say that these are your electronic bus tickets, which you’d bought online. We wish you a convenient choice and a pleasant journey! Which bus tickets can be purchased online? 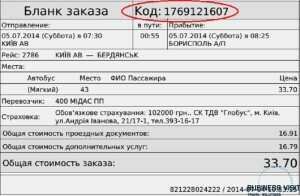 It is possible to buy bus tickets Ukraine on a bus across Ukraine through the online booking form. 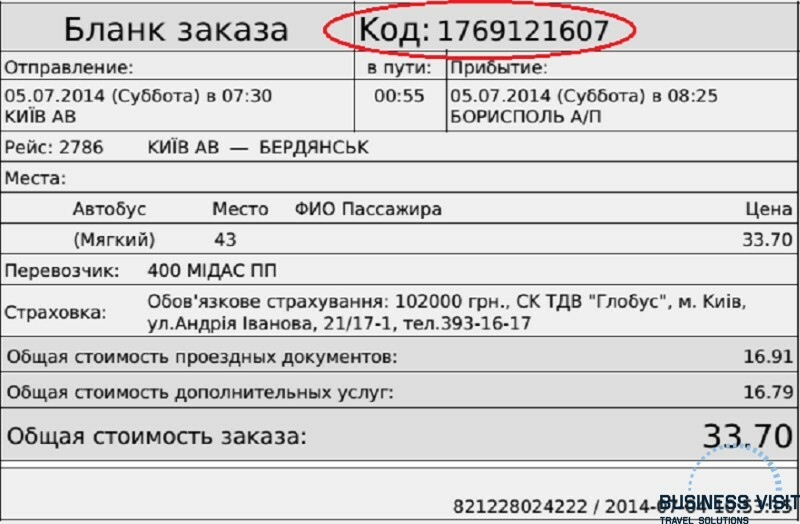 For example, you can buy a ticket from the Borispol airport to Dnipro city — on the "Kyiv-Dnipro" bus accordingly. Instead of going from Boryspil airport to Kyiv city and waiting there for the "Kyiv-Dnipro" evening train, you can board on the comfortable "Gunsel" bus right at the airport and be in Dnipro city in 7 hours. Passengers are served tea or coffee with biscuits on many "Gunsel" buses (this is included in the bus ticket cost). You are welcome to go by bus from Kyiv to Odessa, Berdiansk or Henichesk in the holiday season, with no transfer. There are a lot of available international bus ticket offers. You are able to choose from a wide variety of bus tickets Europe. For instance, you can get from Kyiv to Warsaw in 13 hours. These 13 hours is an actual travel-time, not considering the time spent on the passport and customs control. Traveling to Europe by bus is suitable for those who do not tolerate traveling by plane. If you have a lot of baggage — traveling by bus is the best option for you, as there are no transfers. Buses often pass through small cities in Europe, in which there are no flights. You have to think of the way how to get to the nearest airport. If traveling by bus in this case — you can get there directly from Kyiv or another city. In order to find the most appropriate bus ticket, please learn the bus schedule in advance! We offer you the easiest way to purchase a bus ticket online. This option of bus ticket booking is not only the fastest but also helps you to save your money, allowing to find cheap bus tickets. Business Travel agency offers all customers an excellent opportunity — to find and book bus tickets in just a few minutes. You don’t have to spend your valuable time on going around the city, communicating with different people, etc. After receiving the application, the system immediately processes the data and allows you to make a purchase. It should be mentioned, that the cost of a bus ticket bought online is eventually cheaper than the one, purchased at the bus station. Therefore, you are welcome to find the cheapest bus tickets online! These are the most popular bus lines in Ukraine: Kyiv, Donetsk, Kharkiv, Odessa, Dnipro, Zaporizhia, Krivoy Rog, Mariupol, Nikolaev, Lviv. Business Visit Travel Agency simplifies all the trip preparation processes, providing its customers with the best conditions. You don’t need to go anywhere, spend your time and passage money. 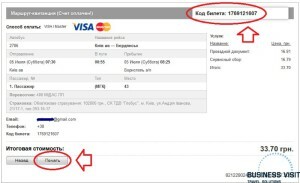 Your comfort and time are always more expensive than a few hryvnia of the service charge for processing the order. We take care of the preparation of the documents: passports, visas, documents translation. We also provide any other services related to travel. You can easily buy bus tickets in just a few minutes with a help of the online booking system. Modern technologies — safety, convenience and the opportunity to save time and money, as well as enjoy the purchase. Business Visit Travel Agency finds an individual approach to each tourist, we can inform our tourists on the passage of customs control, accompany a person or a group of tourists to the bus. We do our best to ensure that you will have everything under your control during the rest. You are welcome to contact Business Visit Travel Agency and our staff will quickly and competently solve all the issues that arise. We can choose for you the best tour to any country in Europe and the world as a whole. Our managers can also find appropriate round trip bus tickets, provide with international maps. We will create an individual itinerary for VIP-travelers, taking into account all the requirements and directions. The work of our managers had been highly appreciated by individual and corporate tourists from different countries. Take advantage of our services and your trip will be perfect!